Russia is concerned over deterioration of the political crisis in FYROM [*] and urges peaceful settlement, the Russian Foreign Ministry said on Thursday. Στην ουδέτερη ζώνη πνίγηκε και το όνομα της "Μακεδονίας"
Από την έναρξη της τραγωδίας στην Ειδομένη και ειδικά από χθες, με αφορμή τα δραματικά γεγονότα, όλα τα διεθνή μέσα ενημέρωσης αναφέρουν ανά πεντάλεπτο την ΠΓΔΜ ως "Μακεδονία". 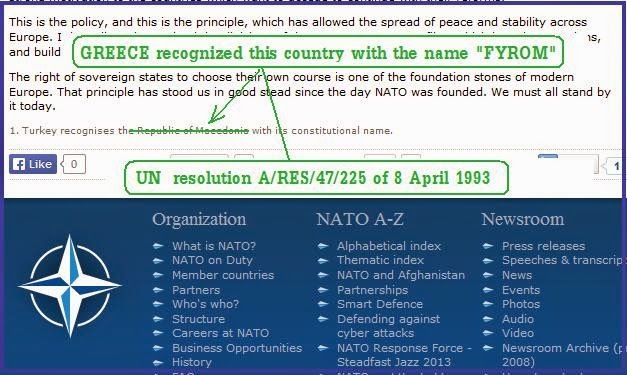 I have not given a statement saying FYROM [***] will change its name and we will respond to the “Guardian”, said the FYROM [***] Prime Minister Nikola Gruevski in a written statement regarding the interview given to the British newspaper. 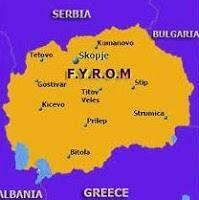 FYROM [***] has found itself at the forefront of policing EU borders while not even being a member of the club. More than half a million migrants and refugees have passed through the poor Balkans country this year to a promise of a better life in wealthy Northern Europe. The Russian Federal Service for Veterinary and Phyto-Sanitary Control has reconsidered its decision to ban imports of vegetative products from FYROM***, the watchdog’s deputy head Alexey Alekseyenko told TASS after negotiations with the republic’s representatives in Moscow. Moscow sees the worsening situation in FYROM as tied to the country’s refusal of economic sanctions against Russia and its support of constructing the Turkish Stream gas pipeline, Russian Foreign Minister Sergei Lavrov said Friday. 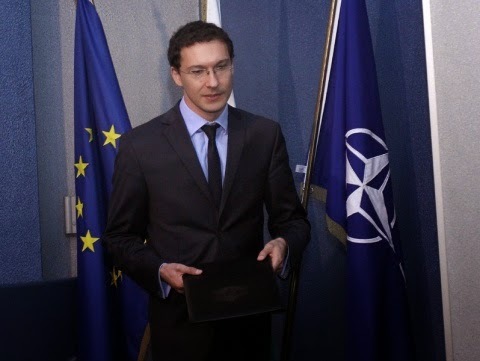 Bulgaria is concerned about the lack of dialogue between the government and opposition in FYROM and will find a way to address that concern, Bulgarian Foreign Minister Daniel Mitov said on February 17, according to local media reports. 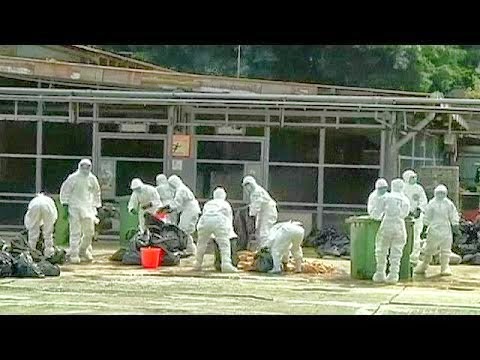 FYROM has introduced a temporary ban on poultry imports from UK, Germany and the Netherlands after the avian influenza was detected in these countries. 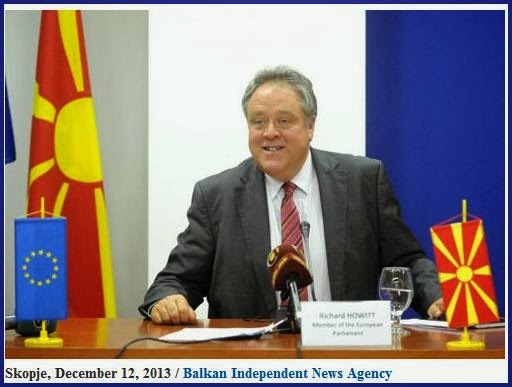 - A statement given by Jess Lippincott Baily, the newly appointed US Ambassador in FYROM, has sparked a heated debate among ethnic slavs, who claim that the Ambassador "negates the existence of the FYROM people." "Mr. Jess Lipinkot Bailey will come to service in the country in which he negates the existence of the FYROM people. Namely, during a questioning in the Committee on Foreign Relations he expressed that FYROM Slavs were a majority and ethnic Albanians a minority in the country," writes Mina, a slavic web resource, in an article "New US Ambassador, Not Making Friends in FYROM." Subject: Question of SYRIZA MEPs to the European Commission on the circumvention of European institutions by Germany, regarding the conference it organised on the Western Balkans. 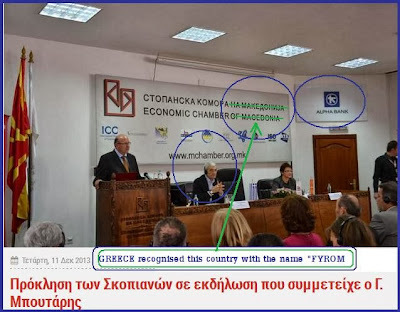 The six SYRIZA MEPs (D.. Papadimoulis, M. Glezos C.. Katrougalos, GA. Kuneva, GA. Chrysogonos, S.. Sakorafas) have brought before the European Commission the subject of the conference on the Western Balkans organized by the German government in August, with selected entries and outside the institutional framework of the EU. 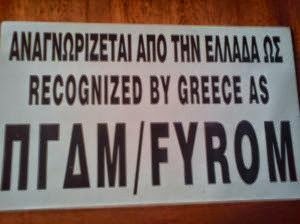 F.Y.R.O.M. 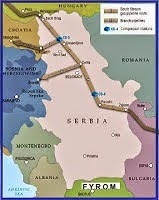 President Gjorge Ivanov supports the implementation of the South Stream project. “In the long run, FYROM needs stable sources of power and so the FYROM, like other countries in the region, stands for additional gas supplies as an ecologically clean power resource,” Ivanov said in an exclusive interview with ITAR-TASS on Friday. “That was the reason behind FYROM’s opting for this project in order to benefit from it, including supplies of additional gas volumes,” he said. Hungarian Prime Minister Viktor Orban called for urgent talks aimed at admitting F.Y.R.O.M. 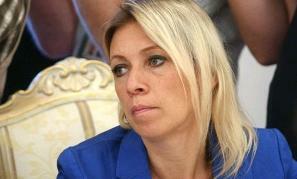 to NATO and the European Union (EU), in an address on Wednesday, local wire service MTI reported. Orban was speaking at an award ceremony after receiving the United FYROM Diaspora's Gotse Delchev award, granted to people who have helped promote the country and FYROM people with their actions. Russia’s Deputy Foreign Minister Alexei Meshkov has met with the ambassadors of Balkan Region, Turkey and Cyprus to discuss the situation in Ukraine. “During the meeting, the Russian high-ranking diplomat and the ambassadors of Albania, Bulgaria, Bosnia and Herzegovina, Greece, Cyprus, F.Y.R.O.M., Romania, Serbia, Slovenia, Croatia and Montenegro to discuss major international issues, including the situation in Ukraine,” the Russian Foreign Ministry said on Monday. Russian citizens will be able to make short-term trips to FYROM without a visa or any other special documents between March 16, 2014 and March 15, 2015, the Russian Foreign Ministry announced on Tuesday (25/3/14)***. 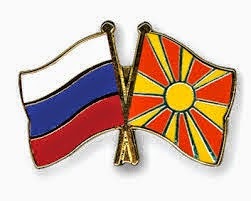 Russia and FYROM signed an agreement on visa-free mutual visits for the citizens of the two countries on June 19, 2008. The agreement enables mutual visa-free travel for businessmen, citizens travelling to participate in professional, scientific and technological, educational, cultural and sports activities, short-term training, medical treatment, as well as for private purposes for a period of up to 90 days. Tourists from Russia and FYROM are allowed to stay in each other's countries without a visa for up to 30 days if they have appropriate documents confirming their travel itinerary, the ministry recalled. European Parliament rapporteur on FYROM, British MEP Richard Howitt declared that FYROM must start its negotiations for accession and that this is also in the best interest of the European Union. “In the quality of rapporteur, I believe that negotiations must start and I have given reasons for this. This is not only in the best interest of the country, but also of the European Union. I hope that the draft resolution delivered by me in support of the start of negotiations will put pressure on several governments in order for a fair decision to be taken”, said Howitt MEP. Ακόμα μία μάχη στον πόλεμο της προπαγάνδας υπερ των θέσεων τους κέρδισαν οι Σκοπιανοί με την συμμετοχή του Δημάρχου της Θεσσαλονίκης σε εκδήλωση του Οικονομικού Επιμελητηρίου της γειτονικής χώρας κατά τη διάρκεια της πρόσφατης επίσκεψης του. Ο Γιάννης Μπουτάρης συμμετείχε στην εκδήλωση μαζί με εκπροσώπους 70 φορέων και επιχειρήσεων από τη Θεσσαλονίκη. War over Alexander the Great to rumble on. Skopje museum plans sculpture of the Macedonian king and other famous ancient figures. 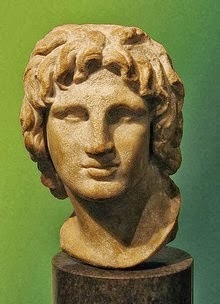 The director of an archaeological museum opening later this year in Skopje, the capital of the former Yugoslav Republic of Macedonia (FYROM), says it will have 15 wax sculptures of historical figures, including Alexander the Great (below), his father Philip II and the philosopher Aristotle, which will do little to improve relations with Greece or Bulgaria. 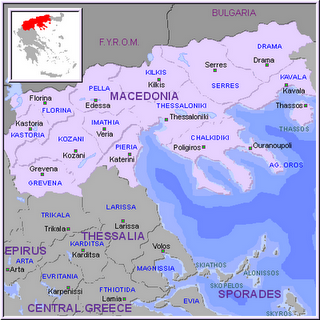 Greeks and Bulgarians have bitterly contested FYROM’s claim to figures such as Alexander. 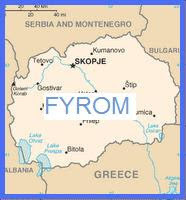 Greece has also been involved in a 22-year naming dispute with FYROM, the name adopted by the Balkan state in 1991 after the break up of Yugoslavia. The Greek government fears that FYROM may stake a territorial claim to a northern area of Greece, which is called Macedonia. FYROM Makeover: Europe's Flailing Capital of Kitsch. The FYROM government has spent huge sums turning its capital, Skopje, into a neo-baroque architectural nightmare. The project's gaudy excesses camouflage a disastrous economy and troubling record on human rights. Jets of water spurt into the air in front of the warriors: red, yellow, blue, violet. The eight bronze men stare fiercely through the spray of the fountain, while far above their heads, Alexander the Great sits enthroned, raising one sword up at the sky. Wagner and Tchaikovsky blare out of the speakers and the water shoots more or less in time with the music. ΠΓΔΜ/FYROM: Σκοπιανός βουλευτής προτείνει απαγόρευση της χρήσης του Ηλιου της Βεργίνας. Στο παρακάτω άρθρο του ΑΠΕ-ΜΠΕ μεταφέρονται οι δηλώσεις του σκοπιανού αξιωματούχου ως έχουν , με την δήθεν συνταγματική ονομασία της γειτονικής χώρας σε εισαγωγικά. Η ίδια λογική θα μπορούσε να μας οδηγήσει στην ελεύθερη χρήση του όρου από Σκοπιανούς, διεθνώς, είτε σε εισαγωγικά είτε με την βοήθεια της παντομίμας όταν πρόκειται για τον προφορικό λόγο και να μην τους ταλαιπωρούμε χρόνια τώρα. 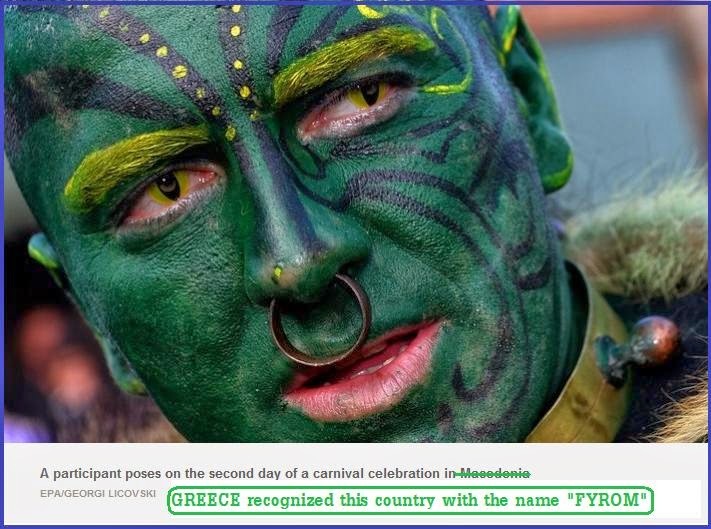 Επί πλέον, αν επαναλαμβάνουμε τον όρο Μακεδονία όσες φορές και οι Σκοπιανοί, κάποτε θα ξεχαστούμε και θα τον αποδώσουμε σε αυτούς. Τότε με το δίκαιό τους θα μας αποκαλέσουν "Αθηναίους". Την καθολική απαγόρευση της χρήσης του συμβόλου του Ηλιου της Βεργίνας για κρατικούς και για οποιονδήποτε άλλο σκοπό προβλέπει το νομοσχέδιο που κατέθεσε στη Βουλή της ΠΓΔΜ, ο βουλευτής και αρχηγός του μικρού αντιπολιτευόμενου Φιλελεύθερου Κόμματος, Ίβον Βελίτσκοβσκι.